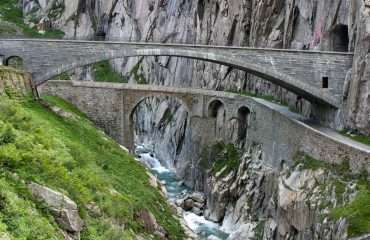 The summer Haute Route or ‘high-route’ is a spectacular and demanding trek through the French and Swiss Alps, from Chamonix in France to Zermatt in Switzerland. 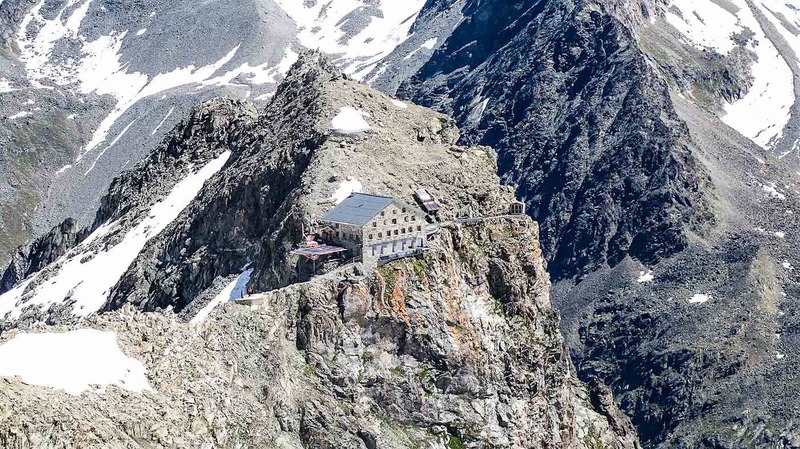 You will stay in high mountain refuges and hotels each night as you follow the route that traverses below the summits of ten of the highest peaks in the Alps. 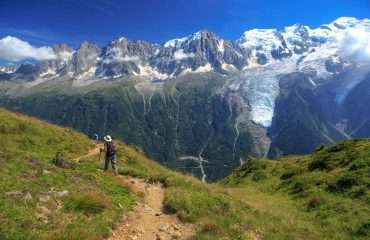 All about the Hike The Summer Haute Route Switzerland, 7 Days, Hike in The Alps. 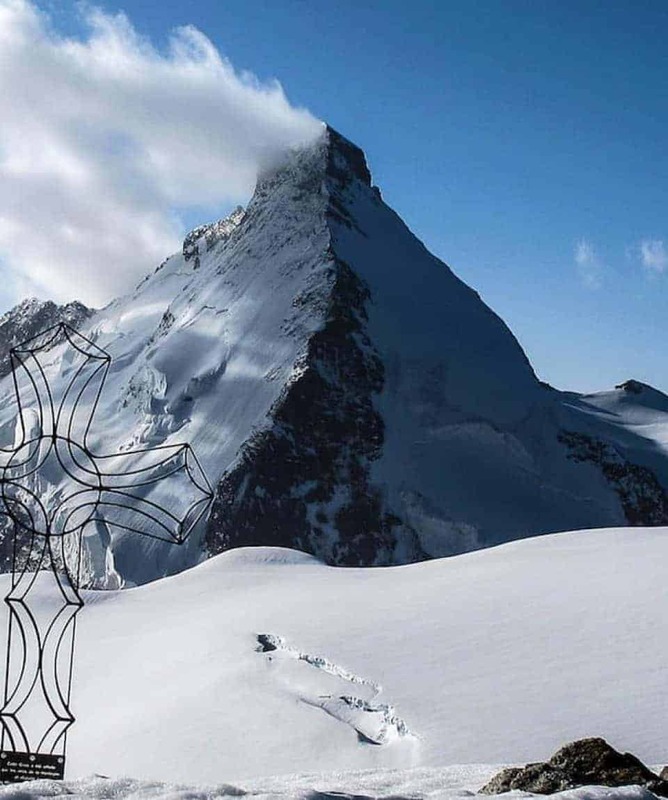 This alpine classic follows the original route pioneered over 150 years ago, through the French and Swiss Alps, from Chamonix in France to Zermatt in Switzerland. The Haute Route is a demanding route, crossing glaciers and high passes deep in the Alps. Our efforts are rewarding with endless panoramic views, unique and remote mountain huts and a route steeped in alpine history. Cross several high passes including the Serpentine at 3796m and enjoy one of the most stunning vantage points in all of the European Alps. 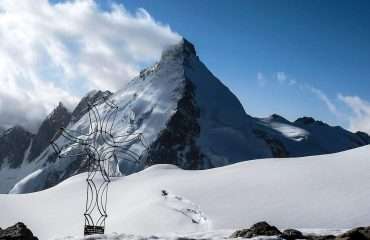 Finish in Zermatt, one of the most beautiful alpine villages in the world, nestled just beneath the famous East Face of the Matterhorn, sitting at 1600m. You will descend icy glaciers and traverse green alpine valleys with flower-covered meadows with occasional picturesque villages to pass through. 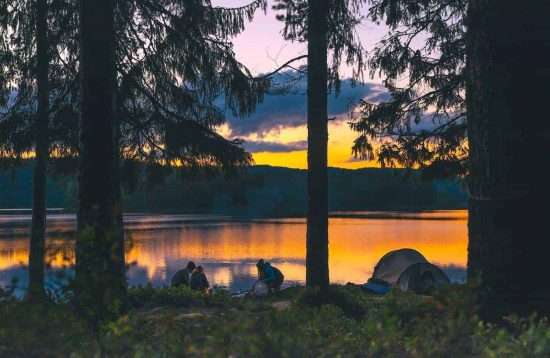 In no time you will become absorbed into a world of glaciers and towering, snow-capped peaks interspersed with the vibrant culture of French and Swiss mountain villages. 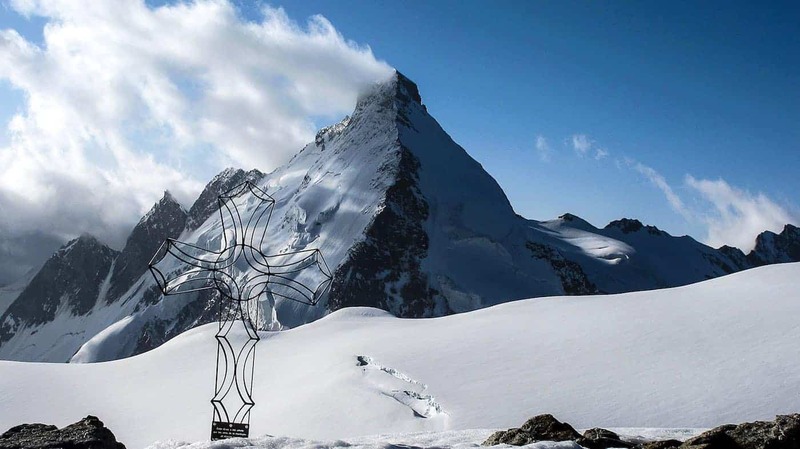 Finally you will arrive into the beautiful alpine town of Zermatt, one of the most beautiful alpine villages in the world, nestled just beneath the famous East Face of the imposing and famous Matterhorn. 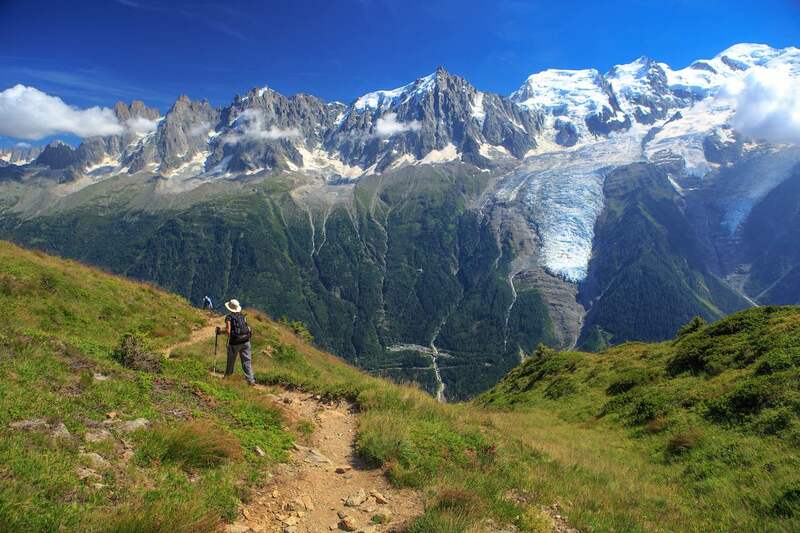 You will relish participating in this physical yet spectacular trek forever. 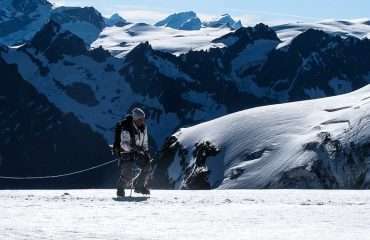 Most days will involve roped glacier travel and although previous alpine trekking experience with an ice axe and crampons is useful, these skills are not required and your guide will teach these techniques along the way. You can expect to cross loose terrain, with some exposed sections that may require the use of a rope at times. 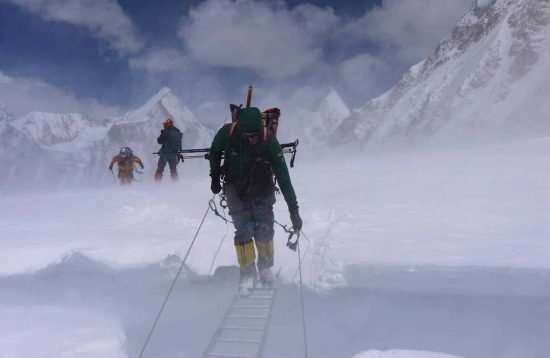 An excellent level of fitness is required and participants must be able to walk between 6-8 hours per day, with daily ascents/descents totally 1,000m/3,300ft or more. The terrain is varied and mostly offtrail, requiring a good sense of balance and agility. 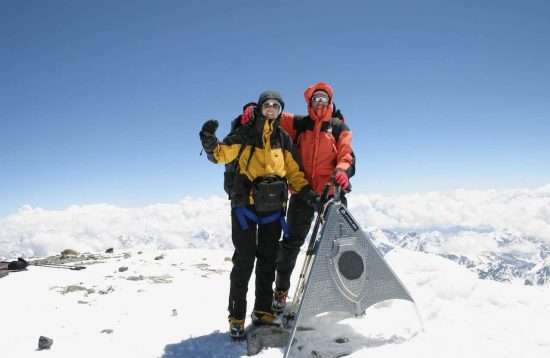 It is imperative that you are pack fit and able to carry 15kg/33lbs for the trekking days, as this will make all of the difference to your enjoyment on the trek. 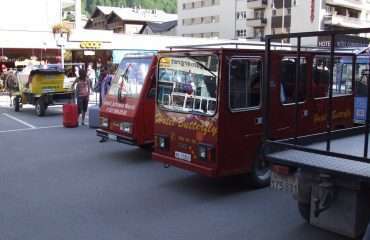 Arrive at the La Chaumiere Hotel in Chamonix. That evening, your guide will go over the details of the Haute Route summer tour and answer any questions. The team will meet at the La Chaumiere in the morning and your guide will help you arrange the last minute hiring of equipment. 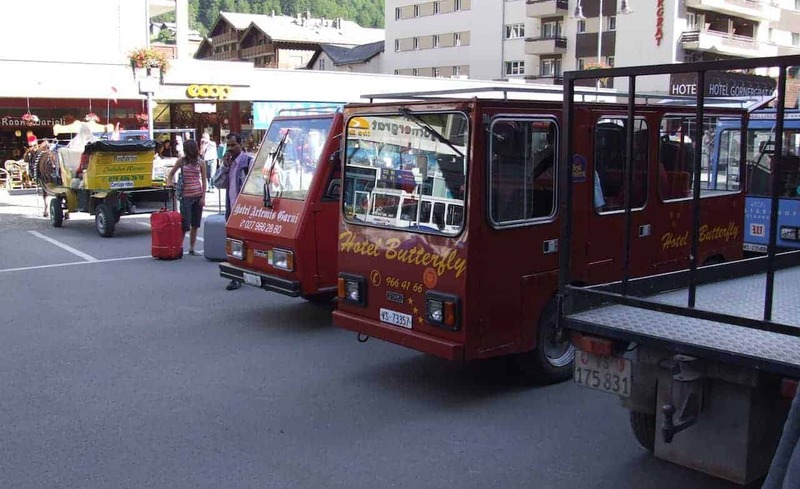 You will then travel to Argentière, located just out of Chamonix to begin the Haute Route tour. 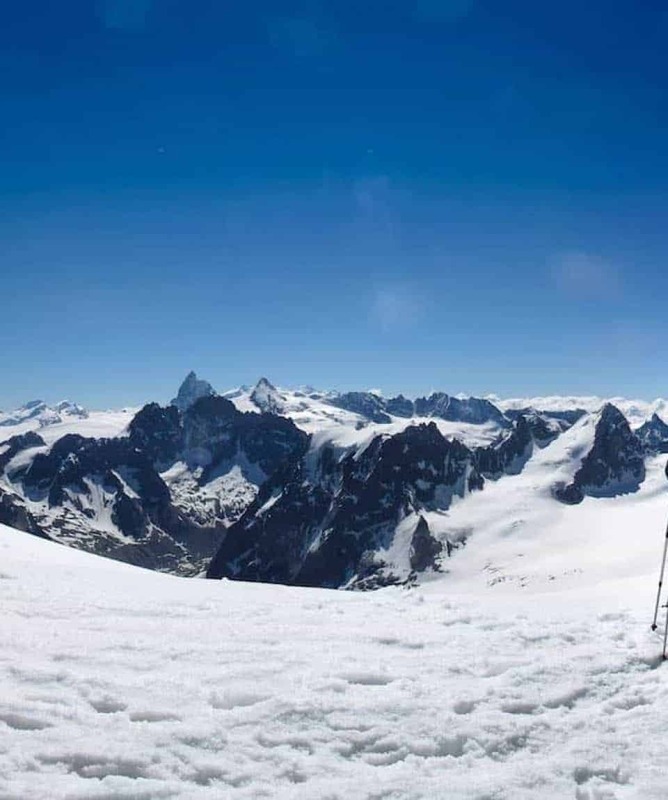 You will trek up towards the Le Tour Glacier and the Albert Premier Hut (2702m) to enjoy a lunch break. 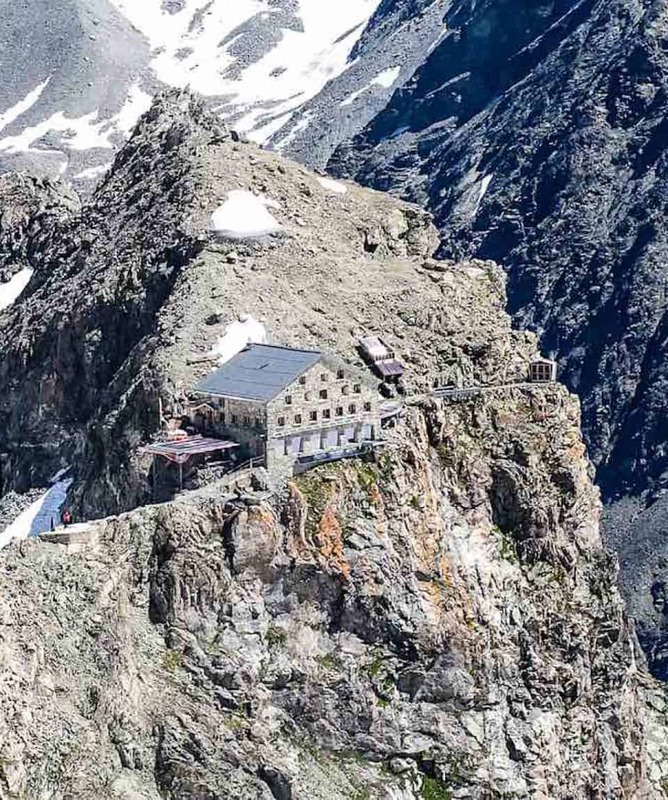 From here, you head onwards, upwards and over the Col Supérieur du Tour (3288m) to Switzerland, and the Trient Hut where you will spend the night. 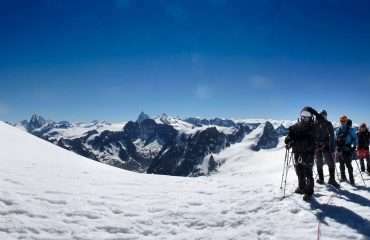 Start by descending the Glacier D’Orny, giving spectacular views that stretch all the way to the Matterhorn. 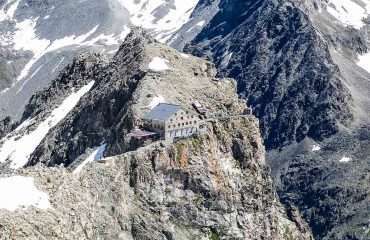 You will then descend to Champex Le Lac, where we will have lunch before taking a taxi to the Lac de Mauvoisin and then trek to Chanrion Hut for an overnight stay. Today you will retrace your steps for a short distance to reach the small Col De Tsofeiret, about 1.5km from the hut and then head up the trail to the Col de Lire Rose. You then traverse the scree slopes to a high bowl below the SW ridge of La Ruinette and onwards up to the Col du Mont Rouge (3326m). This is your high point of the day; from here you have crossed the basin of the Glacier de Giétro to the Col de Cheilon and you finish the day by descending to Dix Hut. 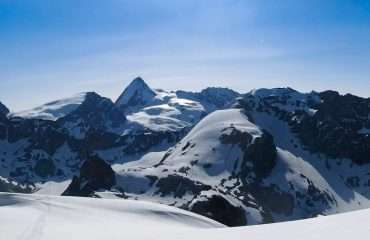 Today involves travelling from Dix Hut to Vignettes Hut, and you head off to cross Glacier de Cheilon before ascending up to the Col de Serpentine from where you can enjoy the spectacular views. 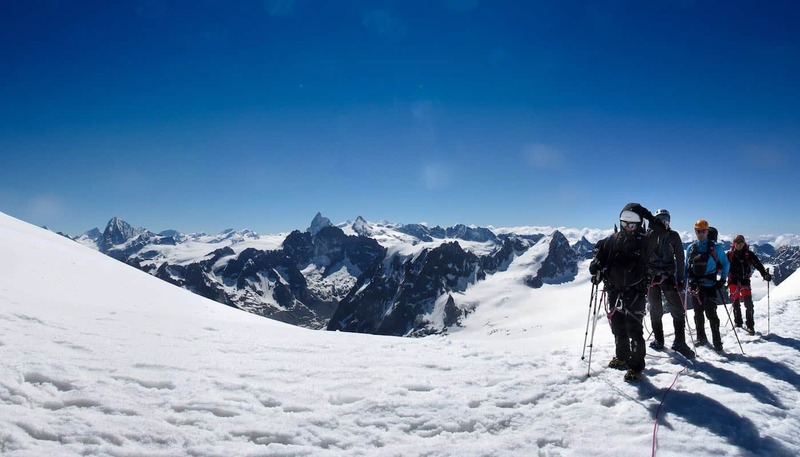 From here, it is up to our highest point on the Haute Route, the Pigne d’Arolla (3796m) to enjoy the 360 degree views of the European Alps before a breath-taking descent to Vignettes Hut. This will be a big day with almost 1200 metres of climbing that is split between two sections. 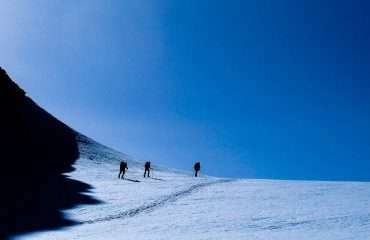 The first is on the climb up to the Col de l’Évêque, which is reached with a long but gentle glacier ascent. This is followed by a moderately long descent of the Haute Glacier d’Arolla and then you will continue down for another 2kms. The second climb of the day starts from the Plans de Bertol up to the hut. This is a big 800 metre climb and very little of it is on the glacier itself. Looking up, you will be able to see the Bertol Hut on its perch high above. The trail soon peters out among morainal boulders, glacier-polished slabs and half-buried ice remnants of the nearly extinct Bertol Glacier. 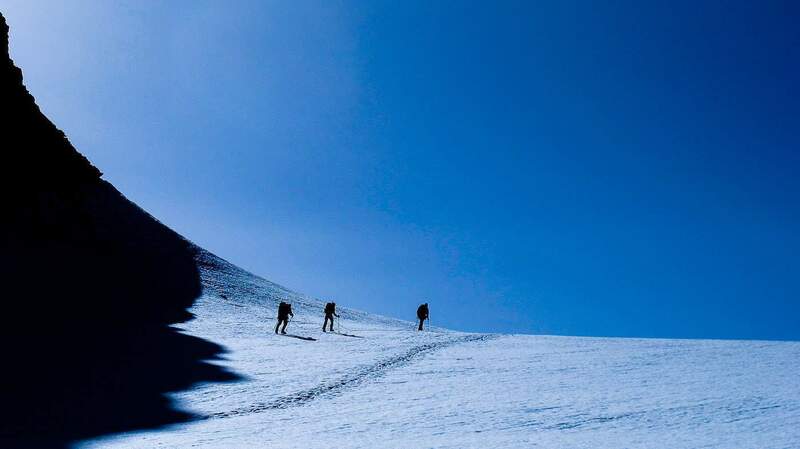 The going gets tougher as you clamber up boulders and progressively steeper snow. One brief section of ladders helps you surmount a short section of rocky cliffs and a last push up fairly steep snow brings you at last to the Col de Bertol. The Bertol Hut overlooks an immense glacier plateau to the east feeding the Mont Miné and Ferpècle Glaciers. Although relatively short in distance at 10.6 kms and mostly downhill, this day’s stage covers some of the most rugged terrain of the trip. Leaving the hut you will first ascend the gentle upper slopes of the Mont Miné Glacier to the Col de la Tête Blanche at almost 3600 metres. 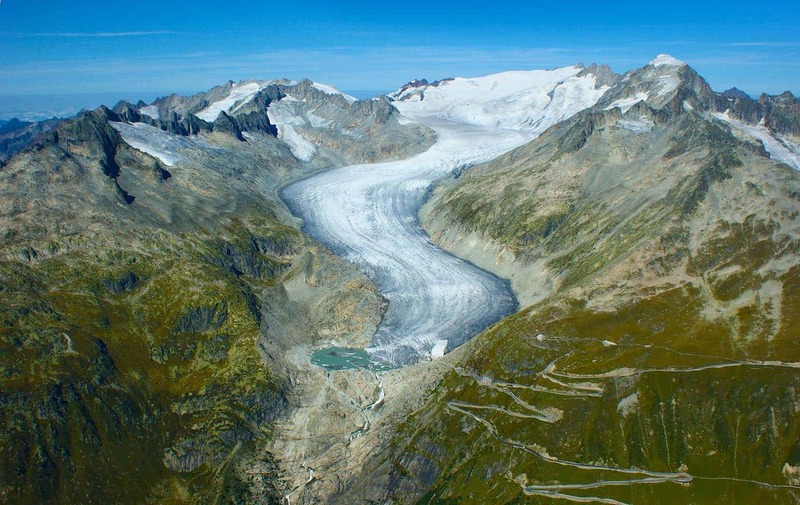 From here, you will descend the crevassed Stockji Glacier to pick up a faint path that traverses along the base of the Stockji to the moraines of the Schönbiel Glacier. Crossing these and the rubble-covered lower reaches of the glacier, you will make your way up the steep northeastern bank to the Schönbiel Hut, the last hut night of the trip. This last day is short and easy, following grassy trails, gentle moraine crests and finally a broad well-trodden trail through the charmingly preserved village of Zmutt, and at last into Zermatt. Please Note: Itinerary may change if conditions are more suitable in another region or factors such as weather to lift service or road conditions precludes access into this region.